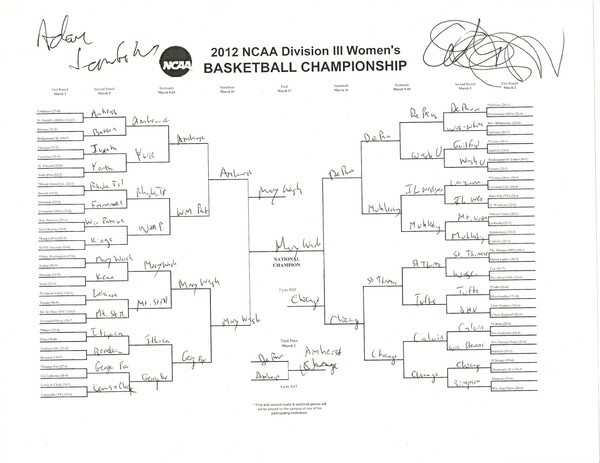 To print out the D-III women's bracket, visit http://www.ncaa.com/content/2012-diii-womens-basketball-championship. 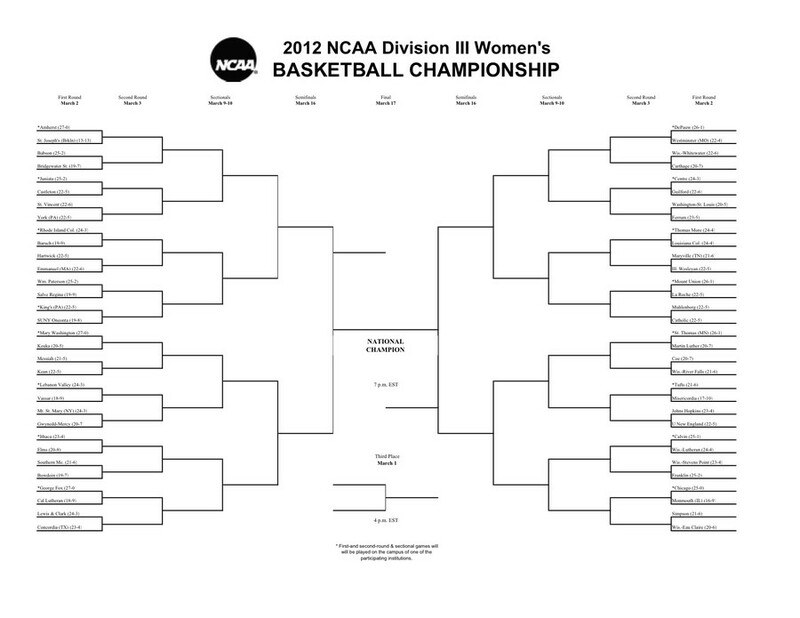 To print out the D-III women's bracket, open the above bracket in a new window, or visit http://www.ncaa.com/content/2012-diii-womens-basketball-championship. Turn in your completed bracket to the designated box in Ratner, Harper, or the Reg by Friday, March 2.